Nubia is an offshoot brand of ZTE, which is headquartered in China. Nubia currently has worldwide operations including Europe, North America, South America, Southeast Asia, and India. The brand is popular for its state of the art interaction functionalities and professional photography features. Nubia Z17 mini S is the latest addition to its product lineup, which packs mid-range specifications. The Nubia Z17 mini S is now available for pre-order in China and is on sale from October 19.The price of Nubia Z17 miniS in India starts from INR 20,000 and may launch in January 2018. It is powered by an Octa-core Snapdragon 653 SoC coupled with 6GB of RAM. The RAM ensures that phone users get a seamless and lag-free Android phone usage experience. Using more than two apps at the same time will never be cumbersome. The Octa-core processor assists in handling tasks more efficiently. As well supports flawless execution of emailing, applications, tasks, gaming, etc. The device boots on Android 7.1 operating system. On the camera ground, the Nubia Z17 miniS ships with a 23 Megapixel camera on the rear alongside a 16 Megapixel unit on the front. You can shoot images, videos, and click selfies. The rear camera can be used for low-light photography also thanks to the availability of an LED flash. The front-facing camera can be used to make video calls. Other camera features include Digital Zoom, Autofocus, and HDR. The mid-range Nubia Z17 mini S handset ships with a 5.2-inch Full-HD IPS LCD display with a curved glass. The screen resolution is 1080 x 1920 pixels.The screen is covered by a Corning Gorilla Glass 3 unit which protects it from minor impacts and scratches.The handset features a fingerprint scanner housed in the home button. The dual-SIM phone uses Android Nougat-based Nubia UI and enables 4G LTE connectivity also besides, USB Type-C for data syncing and charging. When compared to LCD Displays, the sharpness is superior in IPS LCD technology. It promises realistic pictures and also displays more natural colours. The performance is as well nice in bright sunlight. It features 64 GB of default storage and it is not expandable. The storage can be utilized to store media files, applications, and other data. The Nubia Z17 mini S is a mid-range device aimed at providing customers with a decent smartphone experience without creating a hole in the wallet. It has the potential to compete with top players in the market like Xiaomi and Motorola, who have been dominating the market till now. Simply speaking, it looks like a tough competitor in the mid-range smartphone segment. Truly, the Nubia Z17 miniS is the best gadget in this price band, and you can surely buy it. 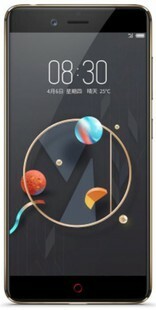 ZTE nubia Z17 mini S full specs and reviews as of Apr 2019. Buy it here!